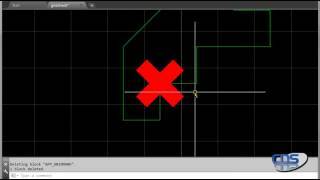 Gridcheck is a utility app from CAD Design Software that enables quick checking of polyline vertices to ensure that they are all within a set boundary. Polylines can easily be selected for checking either globally or individually by layer. The app also allows setting of a tolerance to use along with the user set boundary parameters. This app provides the user with complete control over error marker size as well as color. Errors identified can be easily shared by saving errors to a text file. Test drive Gridcheck today! Also see our GRIDFINDFIX and SNAP2GRID apps.